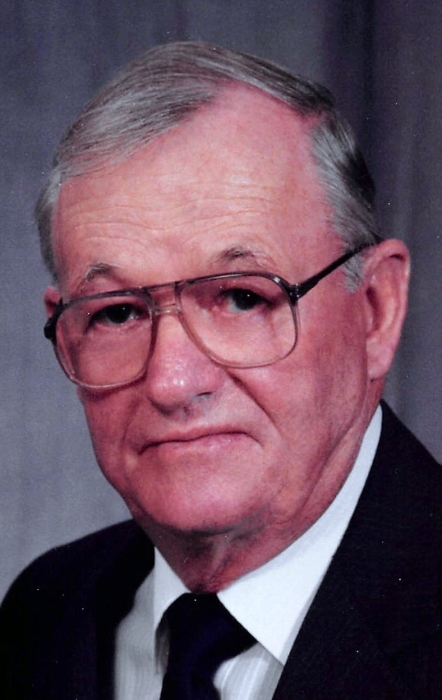 Theodore E. “Ted” Cooper, 94, of Monmouth, IL, passed away at 4:15 a.m., Sunday, March 31, 2019 at OSF Holy Family Medical Center, Monmouth, IL. He was born on January 27, 1925 in Bald Bluff Township, Henderson County, IL, the son of Lenard E. and Gertrude (Waugh) Cooper. Ted attended Bald Bluff grade school and later graduated from Little York High School in 1943. Ted married M. Jean Perrin on September 22, 1946 at the Fall Creek Methodist Church in Henderson County, IL; she survives. Ted farmed most of his life in the Little York area until the mid-1970’s. He then worked for IDOT as a highway worker for 14 years until his retirement. Ted was a member of Little Cedar Church in Little York. He volunteered at Community Medical Center and later at OSF Holy Family Medical Center for many years. Ted loved to garden and spend time outdoors. He was always ready to lend a helping hand. Surviving Ted is his wife, Jean Cooper of Monmouth, IL; three Children, Phillip (Roberta) Cooper of Little York, Mark Cooper of Monmouth, and Terri Cooper of Phoenix, AZ. Also surviving are two grandchildren and two great grandchildren. He was preceded in death by his parents, and two sisters, Frances Oaks and Ruby Garland. Memorial Services will be at 11:00 a.m., Saturday, April 20, 2019 at Little Cedar Church, Little York, IL. Visitation will be prior to the service from 9:30-11:00 a.m. at the church. A private family interment will take place at Warren County Memorial Park at a later date. Cremation rites have been accorded. Memorials can be made to the Little Cedar Church or Western Illinois Animal Rescue. McGuire & Davies Funeral Home and Crematory, Monmouth, is in charge of the arrangements.